We recently found out that Pea’s weight has not been going up in proportion to her height. Like I was as a child, she is rail thin. Her food allergies makes it difficult to feed her healthy fats so I have been thinking of ways to pack in more punch into her meals. Do you want to pack more nutrients into your family’s diet? Small additions to everyday foods can make a world of a difference in the health of your family with every little additional work. Get creative and have fun with your food and give a few of these tricks a try with me. Chia seeds – While it may seem strange chia seeds are high in protein, fiber, and omega 3s. You can mix a tablespoon chi seeds into almost anything without noticeable flavor change. Chia seeds are popular for making diet friendly and health boosting puddings. Ground flax seed – Flax seeds are a powerful addition to your diet. Mix them into baked goods and smoothies for a boost of Omaga 3s, fiber and antioxidants. I love the nutty taste that it adds to my breakfast smoothie. Greek Yogurt – Greek yogurt is packed with protein and good bacteria for gut health. Greek yogurt is great with fruit or in smoothies, baked goods, and desserts. I give my son lots of Greek yogurt because he isn’t a fan of meat! Wheatgrass – Wheatgrass is a superfood packed with a powerful punch of vitamins, and enzymes for good health. Wheatgrass is a great addition to any breakfast smoothie or juice. Microgreens – Microgreens are sprouts of almost anything from salad greens to wheatgrass and sunflower sprouts are highly popular. Microgreens have more nutrition per bite than full grown plants. Microgreens can give your salad smoothies, even your stir fry or breakfast omelet a big boost of vitamins. Fermented foods – Fermented foods are great for the body. Fermented foods are partially broken down and contain bacteria that are good for the gut. This helps your body get all of the wonderful nutrition you eat every day. Are you looking for great recipes that pack a punch? 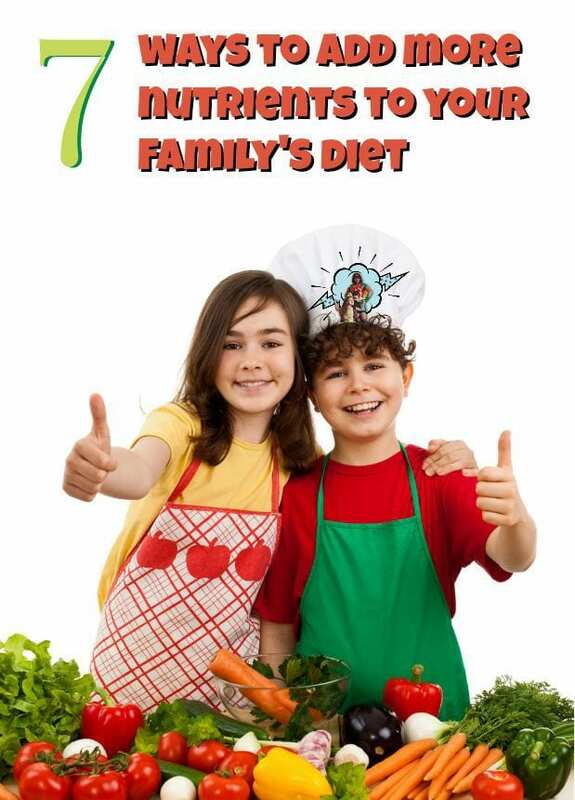 Want to improve your health and the health of your family with allergy friendly recipes? Check out “Nutritionally Wealthy Recipes: More Nutritional Bang for your Buck!” a great book full of recipes from nutritional supplements to delicious desserts you can not resist. Right now this book is part of the Ultimate Healthy Living Bundle with over $2,000 worth of healthy living e-books, classes, and bonus products you don’t want to miss.